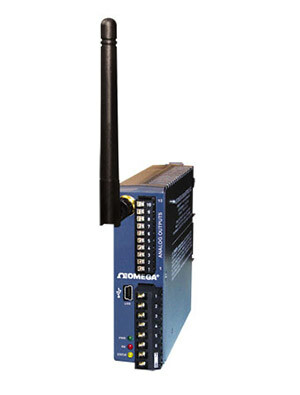 참고: The UWTC-REC4 can be powered directly by the PLC or data logger you are connecting to and will not require an additional power source if the instrument has 12 to 24 Vdc @ 250 mA available for external devices. If your instrument does not have a power source available for external devices you will need to add an additional power supply to power the wireless receiver (iDRN-PS-1000). This power supply can power up to 3 UWTC-REC4 receivers.